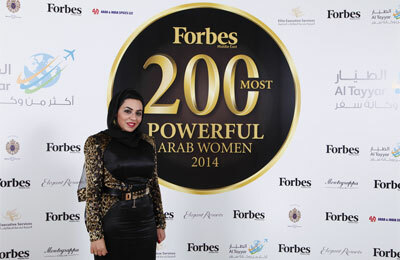 UAE’s Rasha Al Dhanhani, known to many as the mastermind behind PappaRoti Café, has been named one of the 200 Most Powerful Women in the Arab World for 2014 by Forbes magazine. The glitzy honouring ceremony was attended by Sheikh Nahyan bin Mubarak al-Nahyan, the United Arab Emirates’ Minister for Culture, Youth and Community Development and took place recently at Zaabeel Saray Hotel on Palm Jumeirah. Al Dhanhani’s inclusion in the prestigious list means she has joined the likes of most powerful Arab business women. She took the 56th position in the Arab world and 14th among the 26 Emirati women who made it to the top 200. The Most Powerful Women in the Arab World List is compiled by Forbes editors on the basis of a full range of criteria which include among others: degree of power associated with the position, years in operation and professional experience, extent of global coverage. Al Dhanhani is the chairperson of PappaRoti Café, the Malaysian brand which she has transformed into a favorite café in several countries in the Middle East and beyond. She holds the franchise licensing rights for PappaRoti in the GCC, Middle East, CIS, North Africa, India, Paris, Switzerland and Brazil. Al Dhanhani has proven her position of power with Rasha Investments and Brandnoise Creative Agency which she both owns. Combining business skills with her marketing savvy, she has multiplied her PappaRoti Café business to more than 53 outlets in the Middle East region in only five years.